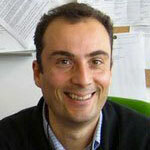 Fabrizio Agosta is a structural geologist whose main research focuses on fault and fracture analysis. Specific themes are, mechanical stratigraphy, faulting processes, fault permeability, and fault and fluid interaction. He is also interested on the structural setting of the Apennines fold-and-thrust belt. Fabrizio worked in Italy, USA, Greece, and Spain. 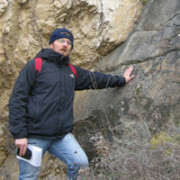 Currently, he is an assistant professor at the Science Department of the Basilicata University, Italy, and co-director of the Reservoir Characterization Project. The Multicampus BIGEA Department of the Alma Mater Studiorum University of Bologna includes more than 80 staff members covering many aspects of the Life, Environmental and Earth Sciences; the mission is on teaching and fundamental as well as applied research. In particular, the Earth Sciences section can count on a number of funded research projects and a series of established and certified laboratories among which a Chemistry/Geochemistry lab, a XRF fluorescence lab, and a SEM/EDS microscopy lab. Among others, earth scientists have a strong expertise on the characterization of natural and anthropogenic hazards such as land subsidence, coastal erosion, groundwater pollution, climate change, flooding, and landslides. 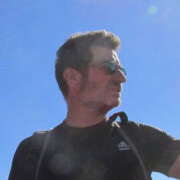 Marco Antonellini is involved in projects including fractured aquifers and reservoir characterization, geo-resources extraction-induced land subsidence, the effects of climate change on the hydrological cycle, shallow geophysical exploration, coastal water management, and the understanding on fundamental processes governing the deformation of rocks and how this deformation affects fluid flow. The Experimental Geophysics group at EOST Strasbourg includes a laboratory with several state-of-the-art high pressure triaxial apparatus. This laboratory is specialized in experimental rock mechanics at pressures and temperatures covering true in situ conditions in the Earth’s crust, from those appropriate to shallow geo-resources reservoirs to deep crustal processes. The laboratory is one of best known university laboratories for rock mechanics internationally, with a global reputation for work on the brittle-ductile transition and fluid flow in porous rocks and time-dependent rock deformation. Professor Baud, leading the rock mechanics laboratory, investigates both the phenomenological and micromechanical aspects of rock deformation and fluid flow, using an approach integrating high-pressure deformation experiment. Elettra Sincrotrone Trieste is an international research centre serving science and industry. It is specialized in the study of materials through a highly versatile and powerful analytical tool: synchrotron light. This light makes it possible to reveal the details of the structure and behaviour of atoms and molecules, in order to provide solutions to a wide array of problems in fields that range from electronics to life science, pharmacology, diagnostics, engineering, nanotechnology, and the protection of cultural heritage. The centre hosts two different synchrotron light sources: Elettra, a third-generation synchrotron which the centre itself is named after, and FERMI, a newly-designed free electron laser. The light produced is collected and conveyed to over 30 experimental stations, which use it as their main tool for analysis. Laboratories specializing in chemistry, microscopy, materials science, electronics, and information technology support the research activities carried out at these stations and round out the centre’s offer. and fulfilling the role of reference institution within national and international scientific networks. At Elettra, several experiments have been performed, in collaboration with research institutions and industrial partners, on geomaterials. Synchrotron X-ray microtomography techniques combined with quantitative morphological and textural analyses allow to study by a non-destructive method the three-dimensional (3D) microstructural properties of these complex materials, the high-temperature reactions and aging processes.In the last 15 years, a strong know-how has been developed by the SYRMEP Group in the field of geosciences (volcanic rocks, paleontology, structural geology, concrete-based materials). Lucia Mancini, is a material science physicist. She worked from 1992 to 1994 in an Italian industrial research center. She has been PhD and Post-doc at the ESRF synchrotron facility (Grenoble, France) from 1995 to 1999, researcher at the CRMCN of CNRS (Marseille, France) in 1998 and at the IMM of CNR (Bologna, Italy) from 1999 to 2001. She is senior scientist at the SYRMEP beamline of Elettra since 2001 and from 2005 she is also the scientific responsible of the TomoLab instrument at Elettra devoted to conventional microfocus X-ray microtomography. 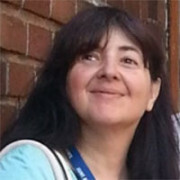 Lucia Mancini’s main expertise is in the field of material science using X-ray diffraction and imaging techniques and her main interest is the application of these techniques to innovative materials and geosciences. Since 2006 she coordinated a research project allowing to realize a software library, named Pore3D, for quantitative morphological and textural analysis of 3D images. She is co-author of more than 100 scientific papers that have appeared in peer-reviewed journals, co-supervisor of several MSc and PhD theses and presented her scientific results to more than 150 international workshops and conferences. The DISTAR Department of the University of Napoli Federico II includes more than 50 staff members covering the whole range of the Earth Sciences, with particular emphasis on the exploration, development and production of geo-resources and the assessment of natural risks. On these topics, the DISTAR in involved in numerous funded research projects. In particular, the Petroleum Geology Group, led by Stefano Mazzoli, has been working over the years and is currently working in close collaboration with oil companies. Stefano Mazzoli investigates the various styles and modes of deformation characterizing the different parts of orogenic belts; exhumation processes in different geodynamic settings, analysed by means of a multi-disciplinary, integrated approach; fault architecture, nucleation and growth processes; mechanical stratigraphy and fracture analysis in carbonate reservoir analogues. 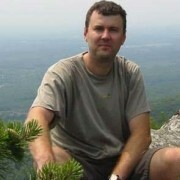 The Earth Sciences Department (DST) offers a correct comprehensive disciplinary character for approaching environmental studies: it enhances the geosciences contribution to the analysis of environmental issues of societal relevance, such as the evaluation of geo-resources and the protection from natural hazards. DST has been and currently is part of many national and international funded research projects. Skills and/or expertise of Sergio Vinciguerra are the following: Laboratory and field scale geophysics, with particular emphasis to the studies thermo-hydro-chemo-mechanical activated processes and the monitoring of physical parameters (velocity measurements and seismic signals), chemical (radon and thoron) and coupled fluid flow.